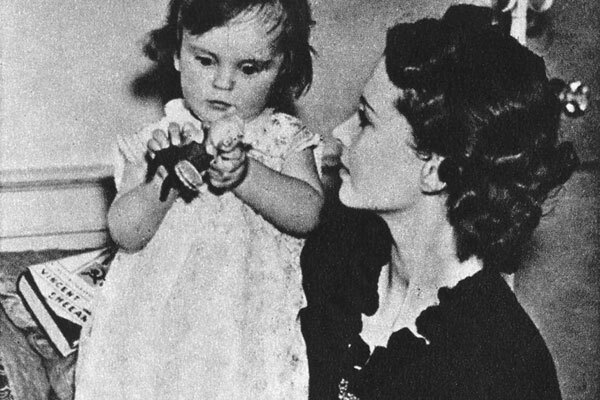 It was with sadness that I learned last week of the death of Suzanne Farrington, Vivien Leigh’s only child. She passed away presumably at home in Lower Zeals, Wiltshire, of unstated causes at age 81. Many people know of her, but few outside her family and immediate circle seem to know much about her. The death announcement in the Telegraph told us that she lived a life of love and laughter and is survived by her three sons, 12 grandchildren and numerous friends, while a longer obituary in the same paper focused more on Suzanne’s tenuous relationship with her famous mother than her individual accomplishments as a woman, wife and mother. Who was Suzanne Farrington, really? While conducting research for Vivien Leigh: An Intimate Portrait, meeting Suzanne was like trying to reach the summit of Mount Everest when I wasn’t an experienced climber. There was a shroud of protective secrecy surrounding her that was carefully held in place by several gatekeepers. Whether Suzanne’s reluctance to talk about her life stemmed from lingering feelings of resentment over the atypical relationship she shared with Vivien, or the constant and unfair comparisons to her mother, or some other reason entirely, I was aware from the beginning and respected her want for privacy. And so I explained to my interviewees that my goal was not to push for information about her private life but rather to get her blessing for a project that was very near and dear to me. See, in my experience, I find it better to meet people in person rather than rely on formal letters through lawyers or other intermediaries. I feel that a face-to-face meeting (or even a direct email or phone call) allows people to see what I’m really about and helps me to assure them that I’m not some random crazy person out to write a tabloid-style exposé on their famous relative or friend. There were several of Vivien Leigh’s letters in the Laurence Olivier Archive that I was determined to use; I felt that even if I couldn’t quote the letters in full, extracts would add something special to my book. This being my first foray into book writing, I wanted to make sure I did everything the right away. I figured the powers that be would recognize that if I had wanted to write some sort of trashy tell-all about Vivien, I wouldn’t even bother asking permission for anything. Right? So I carefully drafted a letter to Suzanne stating my mission and telling her about myself and the work I’d done so far. Then I sent the letter via her lawyer, who passed it on for me (though not, I strongly suspect, with any sort of word of encouragement. It is, after all, a firm that represents high profile clients like Rupert Murdoch). Then I waited. And waited, and waited some more. There were moments of great stress thinking about what she might say, if anything. I even remember dreaming about it once – of receiving a letter that said yes, you can use my mother’s letters! After about three months, I received a curt email from the lawyer saying he regretted to inform me that neither Suzanne nor Joan Plowright (who I hadn’t enquired about) was willing to let me use anything under their copyright. No explanation as to the reason why. Just a swift “No, sorry.” I was at the BFI Library going through Vivien’s letters in the Jack Merivale papers at the time, and I went into the bathroom and cried. It seemed like the worst thing that could happen; that possibly all the time and effort I’d already put in to research and making contacts was for nothing and this book would never come to fruition. It was a crushing blow, but I refused give up. Some of my interviewees, after our meetings, were eager to help. Vivien’s sister-in-law, Hester St John-Ives (who sadly passed away just after Christmas last year), was friendly with Suzanne and offered to phone and vouch for me. She wasn’t able to reach her, but I greatly appreciated the kind effort. Others flat out told me that Suzanne wouldn’t want to meet with me; and there were also those who didn’t feel like they could even talk about Vivien because they were good friends with Suzanne and had already talked to x biographer ages ago. “I wish you had been doing this when Peter Hiley was still alive,” Hester said to me while we had lunch at her house in Devon one January day back in 2013. 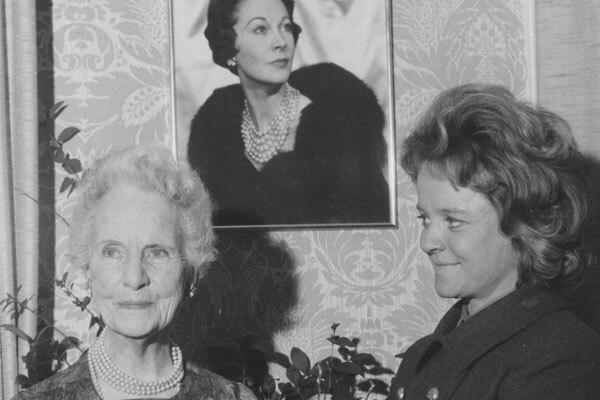 Hiley, who had worked for both the Vivien Leigh and Laurence Olivier estates since the two of them were still alive and married to one another, had been the link between biographers like Hugo Vickers (and I assume others) and Suzanne. Alas, Hiley died in 2008, just a year after I launched this website and a year before I decided I was going to embark on the journey of publishing a book about Vivien. Full disclosure: in 2009 I hadn’t the slightest idea how to go about getting a book published so even if Hiley had still been with us, I probably wouldn’t have known to get in contact anyway. In the end, I never got to meet Suzanne. But as Mick Jagger once aptly pointed out, “You can’t always get what you want. But if you try, sometimes you just might find you get what you need.” Days before my submission deadline, I was contacted by Hugo Vickers who had encouraged my enthusiasm from the beginning. Having presented Suzanne with second a letter I had written, she finally said yes. For that I’m eternally grateful. This brings us back to the question “Who was Suzanne?” As a Vivien Leigh fan, I know I speak for many when I say that it would have been great if she’d opened up about her mom in a documentary or something. As a writer, in the absence of a direct interview, I relied on interviews and quotes she gave to the press in the years before Vivien’s death (this one continues to be one of the most popular posts on this site for some reason). 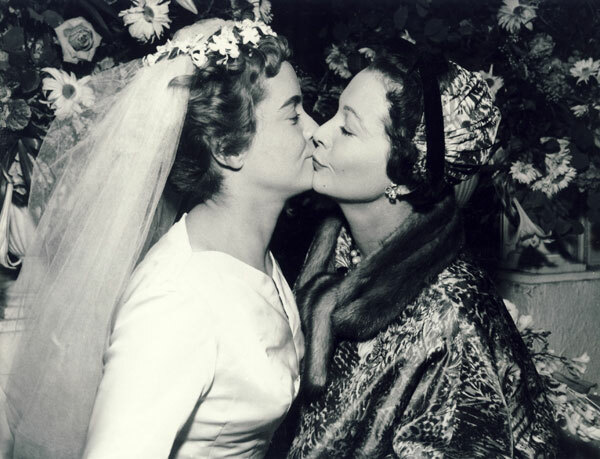 I think it’s natural for us fans to wish Suzanne had spoken more about her relationship with Vivien, but I also believe her silence is to be equally respected and admired. By keeping herself from the spotlight, Suzanne was able to live her own life away from Vivien’s ever-present shadow. She put her family and friends first, and reaped the benefits. Those of us who never had the privilege of meeting her may never know who she really was. But she did bequeath us with an extraordinary gift in the form of her mother’s papers, now safely ensconced at the Victoria & Albert Museum in London. And that, I think, is more than enough. If any of you had the privilege of meeting Suzanne, please feel free to comment. I’d love to hear your story! Extraordinary article Kendra, clearly showing the complexity, trials and tribulations of attempting to bring a project such as yours to fruition. While it’s a shame you didn’t manage to reach Suzanne in person, nevertheless we all still have your wonderful literary achievement to treasure . There were definitely more trials and tribulations than I expected to encounter going into it. But then again, they say nothing worth having comes easy. What a great post, thank you! It’s telling that she changed her mind and said yes! I really doubt she was so secretive due to feeling resentment towards VL, I think she must’ve gotten over it by old age. If anything, maybe it was the opposite, that she needed some extra reassurance that the book wouldn’t be another longer version of the tabloids and would treat VL respectfully. I’m sure she read your book – she must’ve! And I think she would’ve been very pleased with how delicately you treat VL and their whole family! Still, it’s really, really sad you didn’t get to talk to her. Maybe her sons/grandkids might talk someday. Thank you! Well, it helped that I had someone who vouched for me at the last minute, but I was very grateful that she allowed it in the end. I’m not sure why she was secretive, although I can imagine there were several factors. I hope she liked my book, if she read it. She was definitely sent a copy at the time of publication. Trader Faulkner wrote me a very long letter about Richard Wattis when I was writing Richard’s bio between 2003 – 2005, a lovely chap, very enthusiastic, one can feel his enthusiasm in his writings. I never knew he met Suzanne at Notley though – intereting! It was very difficult to get in touch with Suzanne. Perhaps now that the VL archive is in a museum, access will not be such an issue. Trader is lovely and so is Claire Bloom! She liked Vivien very much, said Vivien was always kind to her despite her having had a little affair with Larry in 1955. Did she now – I never knew that. Ooooooh those were the days !! Lovely book Kendra, I didn’t even know you’d done this, I have been ill most of late 2013 and all through 2014, I’ll get it ASAP and well done! Claire Bloom worked with Richard Wattis in Christopher Fry’s play RING ROUND THE MOON, during the very early 1950’s, at what is now the JOHN GIELGUD THEATRE; Claire was only eighteen and probably her first role. I tried to get her for a memory about that performance with RW , but nigh impossible, well done you for getting her to write your FOREWORD. She’s a lovely actress! Nice article.I think that I fully understand her reasons of reticense.Firstly,I think once you open the flood gates the whole world pours in and it would be difficult to stop the flow.I’m sure also that after so many years it must be difficult to come up with anything new to say,after all didn’t Suzanne actually say herself that she remembers only a handful of occasions when she remembers even being alone with her mother? Having helped Alexander Walker,Anne Edwards and Hugo Vickers,she must clearly have drawn a line.I guess had you been around 20 years ago you might have had more luck and I’m sure the really ‘private stuff ‘went with her….It must be something about Vivien,as the topic was always off limits with Olivier also,her legacy was obviously VERY strong,perhaps TOO strong?!! I think you may be right about that (and probably about me having more luck in that area 20 years ago). That’s why I wasn’t so much interested in pressing about her relationship with her mom as I was simply getting her blessing to do this book and to use the VL materials in the Olivier archive. Larry would say he would never tell the story of the trials and tribulations of his and Vivien’s marriage…until 1982 when he published his autobiography, but even then I don’t think that was the whole story. I always assumed it was the mental health aspect that was verboten and protected amongst those who knew Vivien well. It was seen as shameful for a long time (still is to some extent, sadly). People were very upset when Anne Edwards revealed that Vivien was a manic depressive and wrote op-ed comments about how that book never would have been published when Gertrude Hartley was still alive. It’s been a few years, but this gave me a strong urge to comment. Manic depression, or as it’s known now as bipolar disorder, is highly hereditary. Adding strong emotional trauma from maternal abandonment it’s more likely than not that Suzanne was bipolar as well. I major psychology and by no means am I done yet, but a medical advise to Suzanne would be to strongly avoid media attention of any kind. Her mother’s abandonment was likely a major trigger for her, so add the advice to not spend time talking and working over her mother. Of course this is pure speculation on my part and by no means a diagnosis, it just caught my eye. Most psychiatrists would advise her something along the lines of: staying away from publicity and your mother’s influence is your only chance at a happy and stable life. It would certainly explain her active silence. It’s been awhile, hope you are well. I greatly admire your courage and perseverance in writing your book about Vivien. I really enjoyed reading it. Even though you had to go to great pains at times to get this accomplished, I am forever grateful for all you did to reach your goal! Kudos! I read your book recently after coming across the London NPG exhibition last year. I thoroughly enjoyed it, well done for all your hard work! Perhaps one day you’ll meet Suzanne’s children and grandchildren – time can heal and bring forth new experiences! I was a friend of Rupert and Blue when they lived in a mountain cabin near Boixols (Catalunya). He used to perform Moonshadow on the guitar. They had a large contraption consisting of a six-foot diameter ring which you were strapped into and which rotated inside another ring, so you could spin in all directions. They used to take it to fairs and give people rides. Their son Ashua was a baby and Sean was on the way. Both sons have joined the family firm, that Rupert so abhorred. He seems to have taken after his mother, at least insofar as secretiveness goes. According to a website in Vietnamese, he is a practising TCM doctor. Ma be Sue’s kids and grandkids will speak.Maybe they won’t be so secretive. I wonder how Sue felt about others sharing their memories. Olivier’s son Tarquin shared stories. I also wondered how Sue dealt with Viv bipolar. Many years ago I met a woman who said she was the daughter of Vivien Leigh. A mutual friend invited me over to her house which was in the bush on an island . I noticed an old photograph in her lounge and commented on it and said how much it looked like Vivien Leigh. It is she replied, she was my mother. 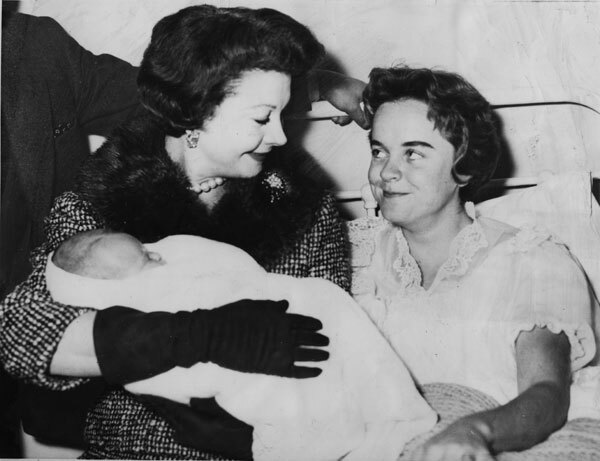 Suzanne Mary Holman was Vivien’s only child. She spent most of her life living in Wiltshire, England. Anyone else who claims to be Vivien’s daughter is a fake. read any websites that you deiced to make in the future. I work at the National Trust, Treasurers House, York, where we are hosting an exhibition of some of Vivien Leighs archive in conjunction with the V &A. (You should come and see it!) – I have to say your book was very useful research for me and this item about her daughter. It helps answer questions we get from our visitors. Thank you. Anyone else reading this might like to Google our house and find out about the exhibition that runs to December. Do you have, in your vast wealth of information on Suzanne Holman Farrington’s life, any idea what convent school and subsequent ‘day school’ Suzanne attended in Vancouver, British Columbia, at the start of WWII? There are two possibilities that spring to mind, my having been born in Vancouver… and family members attended such schools. Also, what day school did she attend after the Mother Superior of the school decided that, for the safety of all the other students, when her famous mother visited Vancouver to attend the city’s premier showing of the film, Gone With The Wind, Suzanne was relegated to a ‘day school’ ~ Perhaps Crofton House School -or- York House School. I met Suzie through mutual friends and can tell you that it was the CSH at Point Grey )where the girls used to point out the chair that had once been sat upon by Vivien Leigh!). I have read both of Claire blooms books limelight and after and leaving a dolls house. Yes she has been quite candid about her affair with Laurence Olivier which I believe took place during the filming of Richard the third in the 1950’s. I personally think that both Vivien Leigh and Olivier had other affairs during their marriage. Suzanne Farrington I think stayed out of the limelight as she most likely was a bystander in her mother’s and olivier’s marital problems which I think had become quite tempestuous over the years. Perhaps she felt enough had been said in that area and did not want to say anymore about it. Vivien leigh’s illness must have been very difficult for her as I have experienced these problems with my mother unfortunately. I heard about Suzanne farrington’s death in one of the daily papers. I believe het husband died some years before. Some people bring up the fact she did not look like Vivien Leigh she looked like her father Leigh Holman I think. She was Suzanne not Vivien a different person and her life took a different path to her famous mother Vivien Leigh.